Jordan Henderson won his 50th international cap in England’s 5-1 victory over Montenegro on Monday. 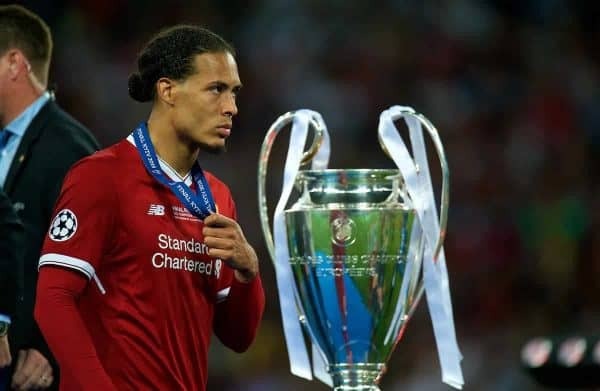 Liverpool’s captain reached a half-century of appearances for his country by coming off the bench shortly after the hour mark of the Euro 2020 qualifier in Podgorica. He marked the occasion with an assist, too, providing a perfectly-weighted pass for Raheem Sterling to net the Three Lions’ fifth and final goal of a convincing win. 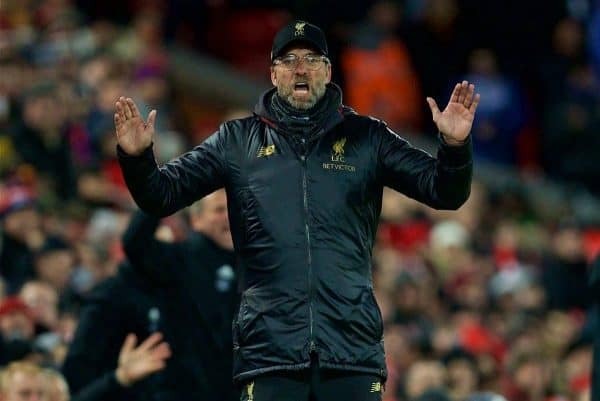 Stastically, Liverpool are on course to finish the season with 92 points – which would be a club record, and enough to have won the title in 17 out of the last 23 seasons. Infogol explain the stats. 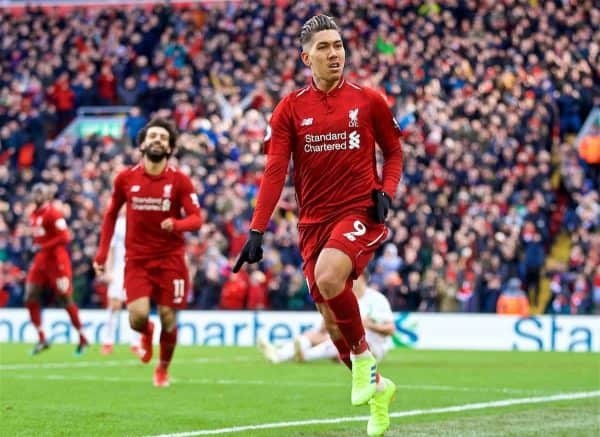 Liverpool entered the final international break of the season with a two-point advantage over title rivals Man City following an edgy but ultimately deserved win over Fulham, but the Reds have now played a game more than the reigning champions. 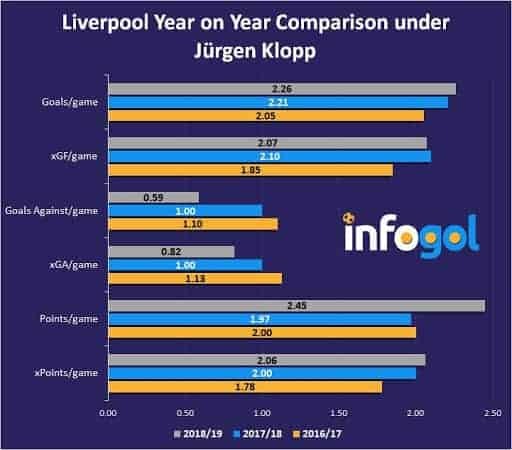 Although they sit top of the table, the Infogol model currently gives Liverpool a 35 percent chance of lifting the Premier League trophy, and Infogol’s Jake Osgathorpe takes a closer look at the stats surrounding the Reds, and just how good this 2018/19 team is. Infogol is a revolutionary new football product, which harnesses Opta data to power a proprietary Expected Goals (xG) model, which can both analyse results and predict outcomes of forthcoming matches. 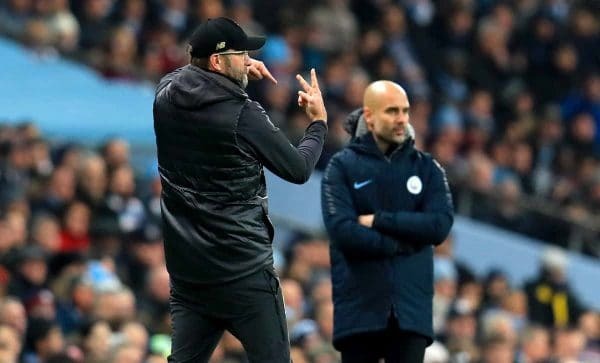 Interestingly, Liverpool have four home games left to play in their seven matches, while City must hit the road five times in their last eight, which should give grounds for optimism given Liverpool’s record at Anfield. Of those remaining seven matches, Infogol calculates that the most difficult game is their next one, at home to Tottenham, but the Reds still have a 71 percent chance of getting the three points. Chelsea at home (72% chance of winning) and Newcastle away (73%) are the two next most difficult matches. City and Liverpool are streets clear of their rivals, but City have been better than the Reds in terms of underlying process, having been both the best attacking and defensive team in the league according to xG. In their 30 league games this season, City have generated an average of 2.52 Expected Goals For (xGF) per game, which is actually an increase on their record-breaking 2017/18 season (2.32 xGF per game). 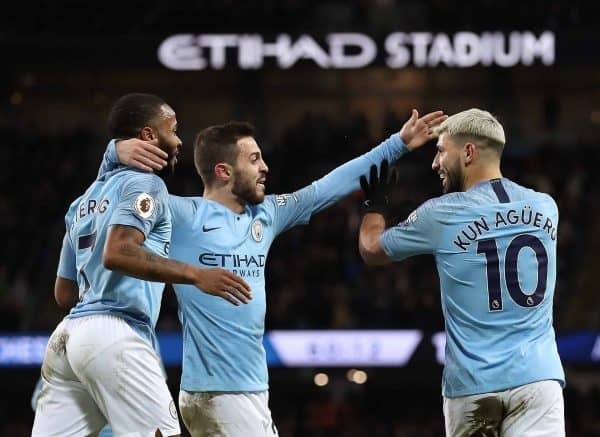 Defensively they are averaging an impressive 0.79 Expected Goals Against (xGA) per game, which is only a small increase on last season’s figure (0.73 xGA per game), which all adds up to something that will be a huge worry for the rest of the Premier League and Europe: City have got better. City face Fulham and Cardiff next, where they will be expected to pick up maximum points, but they then have a tough test away at Crystal Palace, where the model predicts a 65 percent chance of a City win – a game that also comes in between their Champions League quarter-final ties with Tottenham. As well as this, City have to travel to Man United, with that game being the toughest of the remaining fixtures for Pep Guardiola’s side (48%), and comes in the midweek after playing Spurs in the league. All of this adds up to what will no doubt be a thrilling climax to the season, and one of the best title races we will have witnessed for some time. So, Liverpool’s most likely final points tally is 92 and Man City’s is 93, while our simulation has City winning the goal difference tiebreaker much more frequently if the points do end up tied. Let’s focus on Liverpool for a minute. 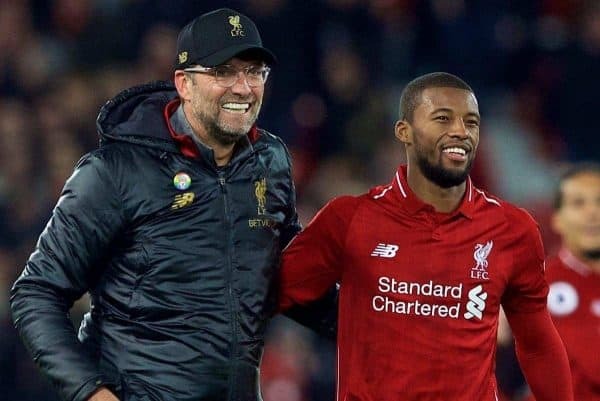 What they have done this season deserves a lot of credit, whether they win the league or not, and Jurgen Klopp deserves plenty of plaudits for ensuring the Reds are still competing with such an impressive City side at this stage of the season. The biggest improvement in terms of Liverpool’s process came in the 2017/18 season, in which Liverpool were actually the second-best team in the Premier League according to xG, despite finishing fourth. 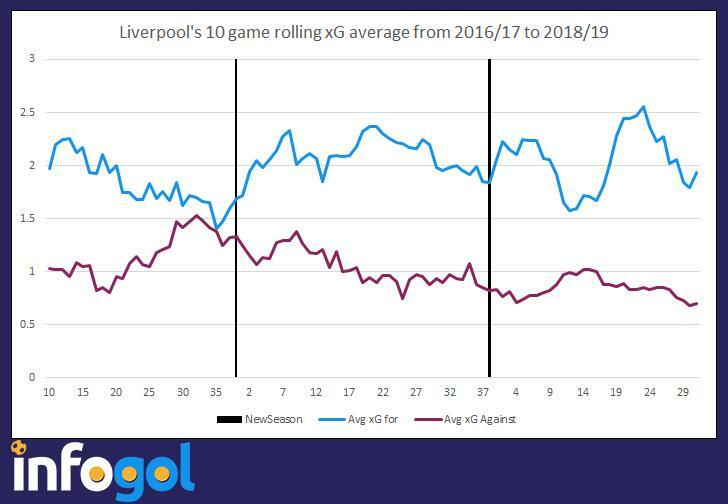 The main difference from last season to this is in defence, as the Reds have conceded an average of just 0.82 xGA compared to 1.00 xGA in 2017/18. That defensive improvement added to the attacking prowess that Liverpool possess, as can be seen in the Rolling xG graphic below, has cemented their place as one of Europe’s elite. So just how good is this Liverpool team? How does this Liverpool team rank compared to previous Premier League seasons? 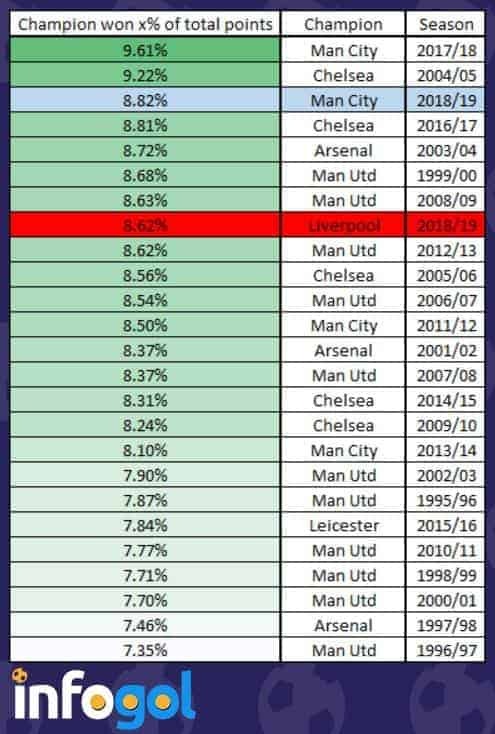 To calculate this, we have taken the proportion of points won by each champion across the Premier League seasons (going back to 1995/96). So, for example, if a champion wins 86 points, and the total points across the league that season was 1156, then the proportion of points they have won would be: 86/1156 = 7.4 percent. Simulating the remaining matches of the season, we get an average of 1056.5 points across all teams this season. Using the Infogol xG model, Liverpool accumulate around 91.8 xPoints, which means the proportion of points expected to have been won by the Reds is 8.62 percent. In the list of previous champions seen above, barring this season’s City team, Liverpool would sit fifth, showing that in the majority of the other Premier League seasons, Liverpool would lift the trophy – 17 out of the last 23, in fact! As well as being right in the hunt for Premier League there’s also the small matter of the Champions League. Liverpool impressed last time out, beating Bayern Munich to qualify for the quarter-finals, and they have now been drawn against Porto, who they thumped 5-0 on aggregate last year. 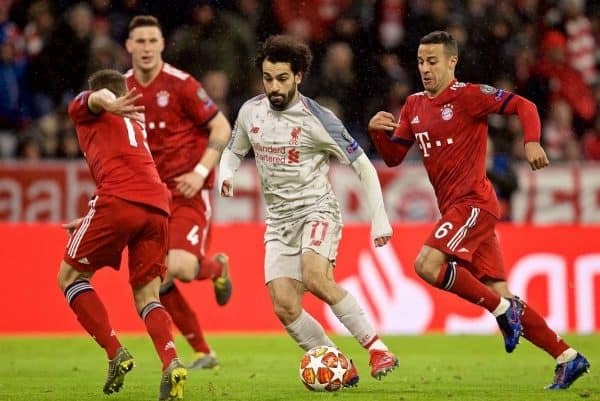 Liverpool are heavily fancied to progress to the semi-finals, with Infogol giving them a 75 percent chance of advancing. If they do indeed get through that game, Liverpool will play either United or Barcelona. As things stand, the Infogol model gives Liverpool a 16 percent chance of going one better than last season and winning the Champions League. We round up the latest Liverpool news and transfer rumours on Monday, as the international break slowly reaches its conclusion. Alisson has enjoyed a superb first season at Liverpool, making a huge difference in goal and conceding just 18 times in 31 Premier League matches. “Above all I feel at home here. Home is where the heart is and where the family is. My family is here, my daughter and my wife live here and my parents come when they can. “My brother lives in Portugal, which is not too far, and comes when he can. That helps when I’m missing them. When I think abut Brazil, I miss it a lot but I have been welcomed here and I feel very much at home. Alisson has become a key man in no time at all and his performances between the sticks will be vital between now and May. 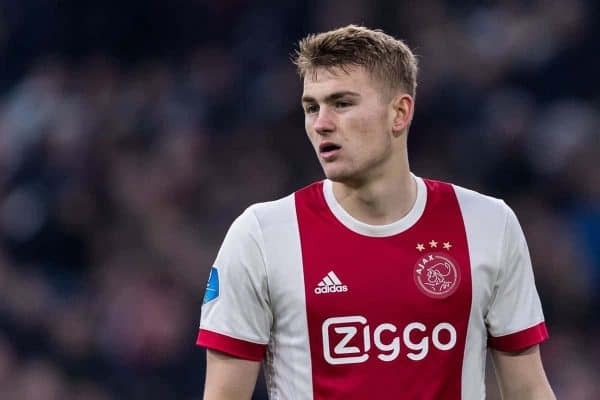 De Ligt Set For Barca? Matthijs de Ligt is one of the most talked about players in world football, with many of Europe’s top clubs watching him closely. The 19-year-old Ajax captain has been linked with joining Liverpool and partnering Netherlands colleague Virgil van Dijk, but Barcelona look to be strong favourites to sign him. Barca president Josep Maria Bartomeu is reportedly set to fly to Holland to hold talks with Ajax, according to Spanish radio station Onda Cero. De Ligt, the most recent winner of Europe’s Golden Boy award, is likely to cost around €65-70million, with many tipping him to become a future great of the game. A move to the Nou Camp always seemed likely, with De Ligt following midfielder Frenkie de Jong to the Spanish giants. Zinedine Zidane has claimed that Marco Asensio will be staying at Madrid this summer, following speculation surrounding his future. The Spanish youngster fell out of favour under former managers Julen Lopetegui and Santiago Solari, with Liverpool even linked with his signature. Zidane sees him as a key man moving forward, though, extinguishing any talk regarding his possible exit. “I have spoken to him and told him that he will be fundamental to the team. And I want him here with us,” said Zidane. 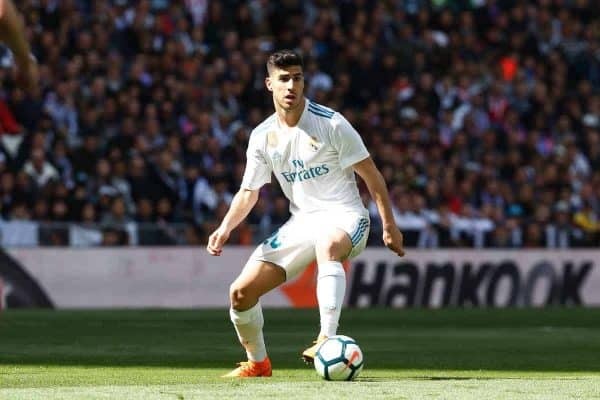 It was always unlikely that Asensio would be sold, with the 23-year-old seen as one of the brightest young attacking talents in Europe. 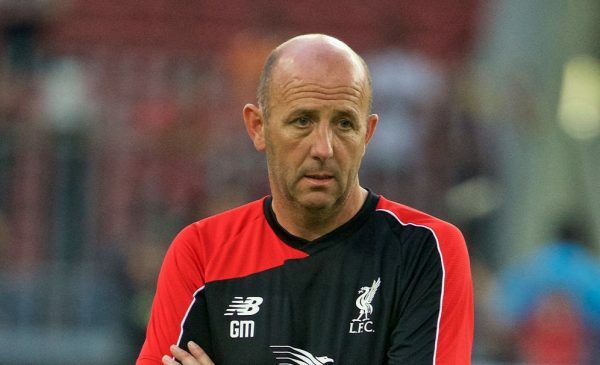 Former Liverpool favourite Gary McAllister was attacked in Leeds on Saturday night, the Liverpool Echo have confirmed. The Scot had been watching LFC Legends’ 3-2 win over Milan Glorie at Anfield before the shocking incident occurred. McAllister was taken to hospital after being punched in the face outside a bar in Leeds city centre, at approximately 4am. The ex-midfielder, currently Steven Gerrard’s assistant at Rangers, is recovering at home in North Yorkshire. Sir Kenny Dalglish will be the manager of Liverpool FC Legends when they face the Republic of Ireland’s XI at the Aviva Stadium next month. The match in Dublin takes place on Friday, April 12, with a host of past Reds heroes on show, including Robbie Fowler and Ian Rush. The event is in aid of ‘SupportSeán’, the Seán Cox appeal, as the lifelong Liverpool supporter continues to recover from life-threatening injuries after being attacked by a Roma supporter last April. “Liverpool Football Club has a fantastic philosophy and outlook on life that if there is one of our own that’s struggling, we try our best to help them. The lads want to support by putting on a game – its what they know best. “It’s important that we come together and do ourselves and Seán justice. It’s a difficult time for his family and we want to help in the best way we know how. Tickets are still available for the game here. It’s fair to say that Liverpool supporters have little time for Roy Hodgson following his dismal short reign as manager in 2010/11. A brilliant story has now emerged surrounding the current Crystal Palace boss, highlighting his incompetence. 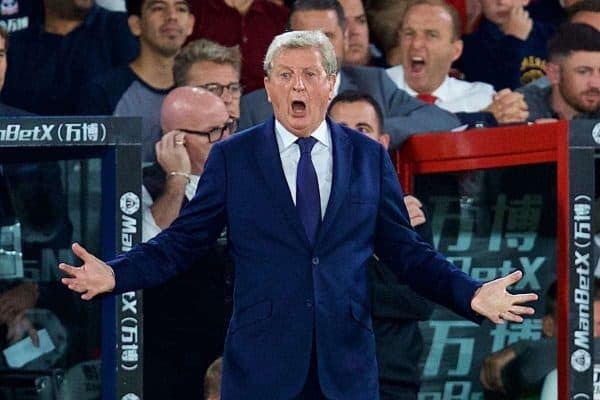 “It was a bit difficult for Liverpool to replace me, but when I was in Fulham and before I signed up, I had a conversation with Roy Hodgson on the phone, where we found out that he had chosen the wrong Alex. We have no idea who the ‘other’ Alex was, but there was an ‘Alex Cooper’ in the Reds reserves then who was released the following summer. Liverpool are set to be represented among Europe’s top clubs as they are expected to oppose FIFA’s plans for a revamped Club World Cup. The world football governing body are proposed a new-look, expanded tournament that would begin in 2021 and include 24 teams, eight of which would come from Europe. According to the Mirror, this would span from June 17 to July 4, and is the brainchild of FIFA president Gianni Infantino. Infantino “believes it will generate significant extra revenue for the clubs involved and for FIFA to share throughout the game,” and it is unsurprising money is the motivating factor. However, UEFA and the European Club Association (ECA), who name Liverpool, Man City, Man United, Chelsea, Arsenal, Tottenham, Everton, Leicester City and Newcastle as its Premier League representatives, oppose the idea. The World Cup will already be held in winter in 2022, due to the baffling decision to host it in Qatar, which experiences heat upwards of 40°C during the summer. On Tuesday, the associations will meet in Amsterdam to discuss future plans, which could also include changes to the Champions League—including weekend games, promotion and relegation. With regards the Club World Cup, the likes of Liverpool face a standoff in their opposition, as “the rest of the world has told FIFA it wants to press on with a bigger, richer” iteration. In ways, it is difficult to sympathise with clubs from Europe from a financial sense, but the key focus here should be on the players, who are arguably already required to play too often. In England, the regular domestic schedule includes the 38-game Premier League, the FA Cup and the League Cup, while those most successful take part in either the Champions League or the Europa League. 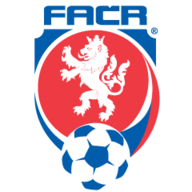 But on top of this are frequent, and unnecessary, breaks for international football, and an extended pre-season that takes in long-haul trips to the likes of North America and Asia. Another competition, effectively adding to the World Cup and the Euros, would only exacerbate this further—and for little gain. Manchester United are scheduled to play Barcelona in the quarter-finals and the winner will face either Liverpool or Porto. On the other side of the draw, Tottenham take on Manchester City in an all-English tie and the winner will play against either Juventus or Ajax in the semi-finals. 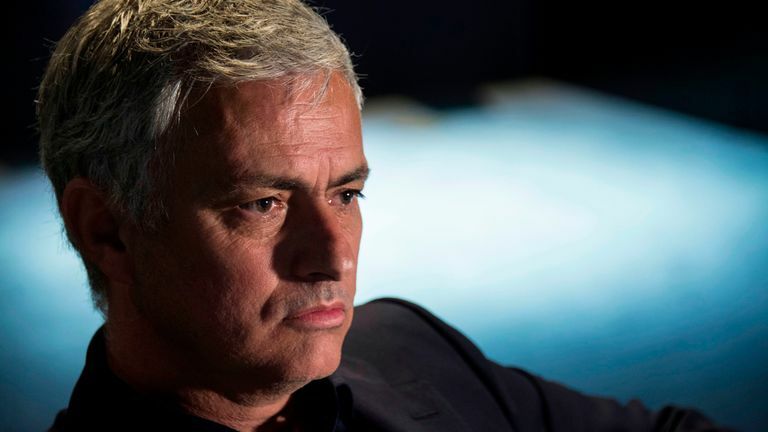 "Juventus and Barcelona are the two great candidates for the competition and will reach the final," Mourinho, who was sacked by United in December, told AFP. "All they talk about is [Cristiano] Ronaldo and [Lionel] Messi but I prefer to talk about Juve and Barcelona. I will always be a football coach and football continues to be a team sport. "Juventus and Barcelona have experience, talent and a special player each. There are these special players, the teams end up becoming the best." LFC Foundation is calling on Reds fans to sign up for this year’s Run for the 96. The annual 5k sees Reds and Blues come together to raise money for the two clubs' charitable arms - the LFC Foundation and Everton in the Community - in remembrance of the events of April 15, 1989. This year’s race takes place in Stanley Park on Saturday May 11, and the addition of a new ‘virtual run’ now also allows fans from around the world to get involved. Virtual runners will be sent their event medal, t-shirt and run number before the race date, allowing them to run the 5k at a place and time of their choice. LFC Foundation, together with Liverpool City Council and Everton in the Community, have put together a number of training runs across Liverpool where Reds fans can meet fellow runners and get fit together – you can find more information here. For full details on the Run for the 96, including how to enter, can be found here. 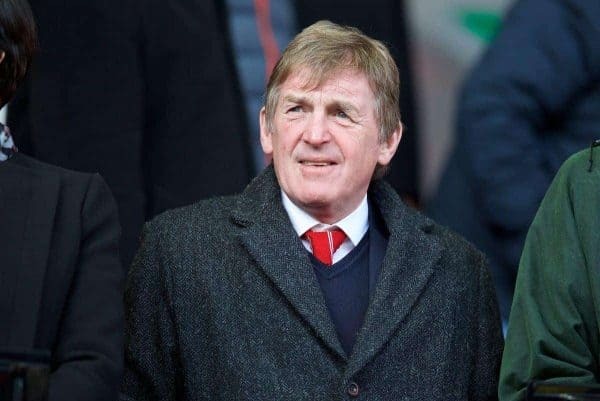 Sir Kenny Dalglish will take charge of Liverpool FC Legends when they face The Republic of Ireland’s XI at the Aviva Stadium in Dublin on Friday April 12. The Reds icon will take to the helm for a very special legends game in aid of 'SupportSeán', the Seán Cox appeal. King Kenny’s glittering career with Celtic and the Reds spanned more than 20 years and included a host of major honours. During his time as a player, he helped LFC win three European Cups in seven years, before he then went on to successfully manage the club and Blackburn Rovers. The special encounter will see a host of greats face off to raise money to fund vital rehabilitation care for Seán, the Reds fan who suffered life-changing injuries from an unprovoked attack before the Champions League tie with AS Roma at Anfield last year. Dalglish will manage former LFC stars including Sander Westerveld, Jerzy Dudek, Glen Johnson, Patrik Berger, Steve McManaman, Vladimir Smicer, Salif Diao, Robbie Fowler, Ian Rush and Djibril Cisse. It further demonstrates the club’s commitment to support the appeal wherever possible. For the Premier League fixture against Cardiff City, volunteers came together with Spirit of Shankly to stage a bucket collection at Anfield which was then match-funded by the LFC Foundation. On taking the reins, Sir Kenny said: “Liverpool Football Club has a fantastic philosophy and outlook on life that if there is one of our own that’s struggling, we try our best to help them. The lads want to support by putting on a game – its what they know best. Liverpool have released the following ticket selling details for the forthcoming Premier League clash with Cardiff City, to be played at the Cardiff City Stadium on Sunday April 21, kick off 4pm. We have received a total allocation of 3,084 stand tickets for this all ticket fixture. Supporters not in possession of a ticket are urged not to travel. Please be aware that supporters in possession of concessionary tickets will be asked for ID at the turnstiles. If supporters are not able to provide the relevant ID, they will be refused entry. Cardiff City have advised that a no standing policy will be in operation for seats situated within rows A – I in block 123. Family groups, elderly supporters and those who cannot or do not wish to stand, are encouraged to purchase tickets within this area. Sir Kenny Dalglish Box holders, Premium Level and Centenary Club members should contact the hospitality department on 0151 264 2222, option 2. Within the allocation, we have received 18 pairs of wheelchair and personal assistant tickets. Ambulant and personal assistant tickets are also available - please click here. Attendance at 10 games: from 8.15am Thursday March 28 until 10.45am Friday March 29. Attendance at nine or more games: from 11am until 1.45pm Friday March 29. Attendance at eight or more games: from 2pm Friday March 29 until 10.45am Monday April 1. Attendance at seven or more games: from 11am Monday April 1. Should there be any tickets remaining following the initial sales, Liverpool FC will make a further announcement. Supporters are advised to check here for sale updates. 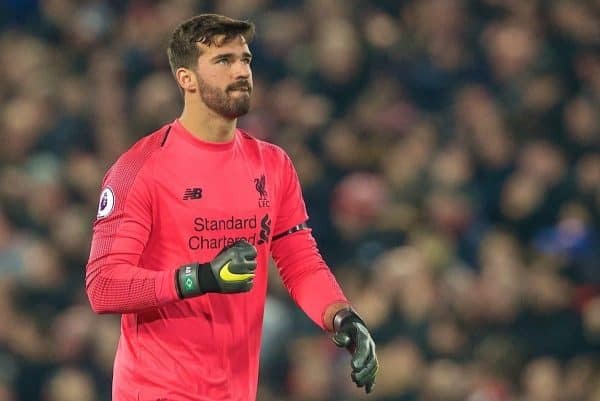 Liverpool goalkeeper Alisson has highlighted the team spirit at the club as a particular strength ahead of the crucial final months of the season. Becker has been on international duty with Brazil in Portugal this week, although he didn't start in the one-all draw against Panama on Saturday, with Manchester City's Ederson preferred in goal. It has been an impressive first season in the Premier League for the 26-year-old, with 20 clean sheets and just 26 goals conceded in 39 Premier League and Champions League appearances so far. Liverpool are two points clear at the top of the Premier League with seven games remaining, although second-placed City have a game in hand, and face Porto in the quarter-finals of the Champions League. 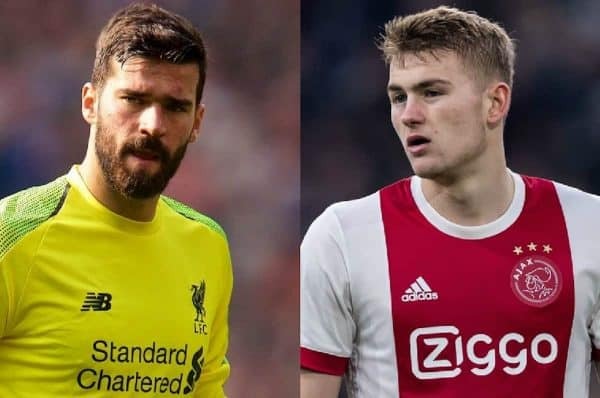 "All the players are important, be they the local players from the UK or the players from overseas," Alisson told the Liverpool FC Magazine. "I admire the strength we have as a team and the quality that every single one of our players has, but the most important thing for me is the team spirit." The Brazilian also spoke of how well he has settled on Merseyside, although he has encountered a familiar problem. "I have been having regular English lessons," he said. "One of the hardest challenges I had at the start was getting used to the accent, not just the British accent but the Liverpool accent!" "Above all I feel at home here. Home is where the heart is and where the family is. My family is here, my daughter and my wife live here and my parents come when they can. "My brother lives in Portugal, which is not too far, and comes when he can. That helps when I'm missing them. 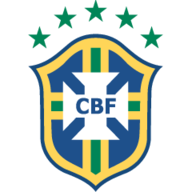 When I think abut Brazil, I miss it a lot but I have been welcomed here and I feel very much at home. "The whole group received me very well. The fans have been very kind too, as have the technical team, so I'm really happy here in Liverpool." Next up for Alisson is another international fixture, against the Czech Republic in Prague on Tuesday night, before Liverpool host Tottenham in the Premier League on Sunday, both games are live on Sky Sports. Liverpool FC will have two official representatives at this week’s ePremier League final – and you can get to know them a bit better in our free video. ‘F2Tekkz’ and Dariosh Krowner will play on behalf of the Reds in London this Thursday and Friday, aiming to become the first ever winners of the inaugural tournament. The duo claimed the opportunity after emerging victorious in the club play-off stage at Anfield last month. Get to know them a little bit better in our YouTube video below. For more information on the ePremier League, click here. There were new contracts, an Anfield debut to remember for many of the squad, and first-team opportunities too. The month started brightly for the Academy when Adam Lewis was among several youngsters to travel with the first-team squad to Marbella for a training camp. 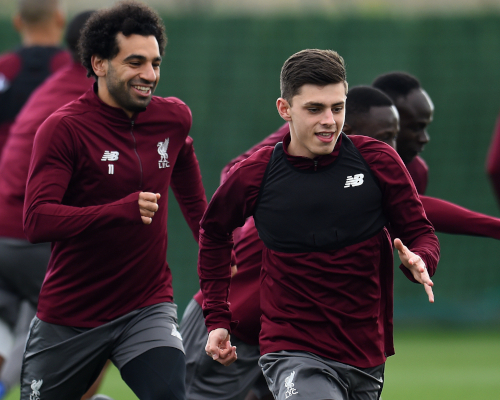 The 19-year-old Scouser joined the likes of Nathaniel Phillips, Ki-Jana Hoever and Isaac Christie-Davies, alongside Curtis Jones and Rafael Camacho. Reflecting on the opportunity, Lewis told Liverpoolfc.com: "It's an unbelievable experience, to be honest. [My aim is to] just to try to get on the bench or maybe in the squad for a Premier League game. Just to keep doing what I’m doing, to be honest. "Everyone knows the manager gives opportunities and you can see it with Ki-Jana obviously coming off the bench [against Wolverhampton Wanderers in the FA Cup] with four minutes gone. So he believes in you as players and if you do well then he's going to give you that chance." 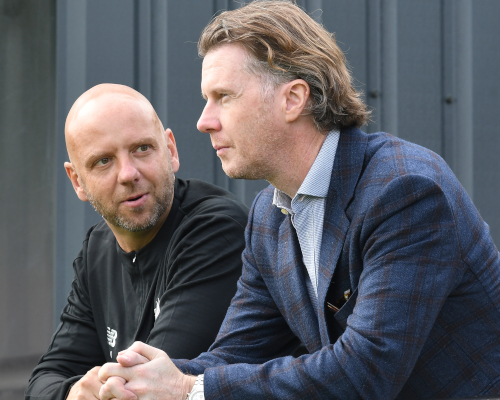 U23s boss Neil Critchley gave an insight into the influence Liverpool legends Rob Jones and Steve McManaman have had on the young players in Kirkby, with the duo regular visitors during the week and for matches. "Their enthusiasm is incredible really and they are a huge help to me on a personal level as well. They are both very grounded and level-headed and they give you the right types of advice at the right time," he said. "They are just good people and they don't realise sometimes the impact they have on me and the players. It's hugely beneficial for us and we are very fortunate to have two people, two ex-players, who are like that and long may that continue for us." A battling 1-0 away win at West Ham United for Liverpool U23s included a sweet moment for U18s captain Paul Glatzel. The prolific striker netted the only goal of the game from close range to open his account at that level. 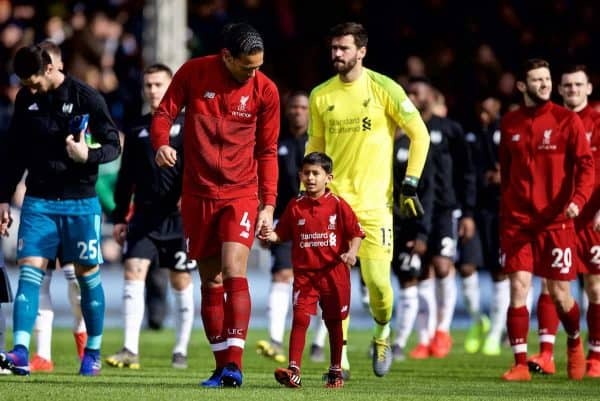 In February, it was announced Lewis had penned a new long-term contract to further prolong an affiliation with the Reds that began at U6 level. The good news kept on coming for the Kirkby hopefuls, too. 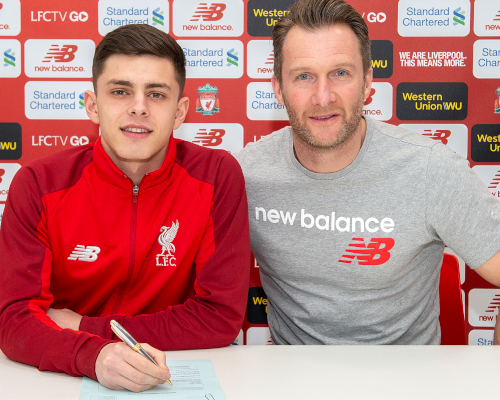 A week later, U18s centre-half Rhys Williams - who joined the club as an U10 - signed his first professional Liverpool deal. Also in February, it was confirmed Glatzel had signed his first professional contract with LFC on his 18th birthday. Born in Liverpool to German parents, the forward has dual nationality and has represented both Germany and England at youth level. "I've been at the club for a long time and to sign a professional contract means a lot to me, and on my birthday as well made everything special. It couldn't have come at a better time and I'm excited," he told Liverpoolfc.com. "It means everything. I've had some tough times with injuries in the past few seasons but I'm back playing again now, so to be back fit and getting the contract means a lot." Ben Woodburn made his comeback from injury as he played for 63 minutes during Liverpool U23s' 2-0 win over Bournemouth in the Premier League Cup at the Vitality Stadium. It was the Wales international's first appearance for the Reds since November. There was disappointment for the U19 group as they bowed out of Europe after losing on penalties to Dinamo Zagreb in the last 16 of the UEFA Youth League. Reflecting on an overall tournament that saw the Reds net five goals apiece against Paris Saint-Germain and Napoli, Barry Lewtas said: "It goes to penalties and that's the way it goes sometimes. "I'm sure I will look back on it with fond memories at the end of the season. It was a shame it ended so early but I look back at some our performances, especially at home, we have seemed to play ever so well, scored a lot of goals and had a lot of attempts at goal as well." Liverpool's youngsters bounced back in style from their European exit with a memorable 2-1 win over Watford at Anfield to reach the FA Youth Cup final. Glatzel's double took his tally to 28 goals for the season, eight in this competition, on his debut in front of the Kop. Lewtas' charges will face either Manchester City or West Bromwich Albion, who meet in the other semi-final on April 1, for the trophy. The jury has been sent home for the day after retiring to consider its verdicts in the trial of Hillsborough match commander David Dukenfield and ex-Sheffield Wednesday secretary Graham Mackrell. The six men and six women were sent out at 10.51am on Monday after 10 weeks of the trial at Preston Crown Court and will resume their deliberations at 10.30 on Tuesday morning. Judge Sir Peter Openshaw told them: "You are under no pressure of time whatsoever. You can and should take just as long as you want or need." Retired chief superintendent Duckenfield is standing trial alongside former Sheffield Wednesday club secretary Mackrell, who denies failing to discharge his duty under the Health and Safety at Work Act. The judge has previously told the jury to be "dispassionate" and "objective" when considering its verdicts. He said: "The death of 96 spectators, many of whom were very young, is a profound human tragedy attended by much sadness and anger which for many is as raw today as it was 30 years ago. "Understandably, and probably inevitably, there have been times during the trial of heightened emotion and distress of which you will have been keenly aware. "But, as you go about your duty to strive to deliver verdicts according to the evidence you must try and put aside your emotions and sympathies and to decide the case after an objective and dispassionate review of the evidence."